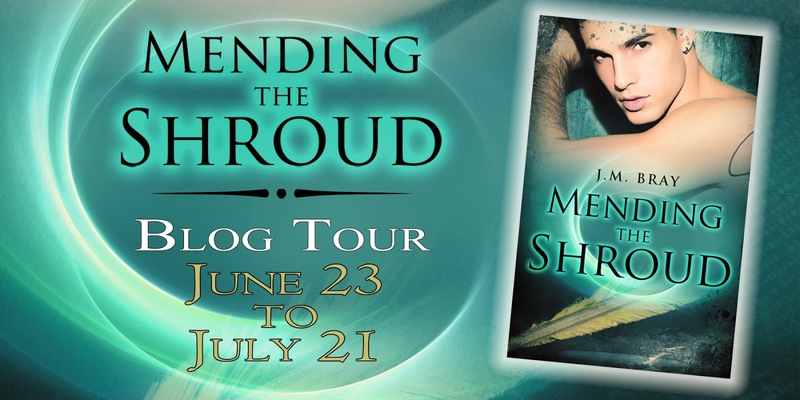 Today I have great pleasure in welcoming Mending The Shroud Author JM Bray to tell us about his new release and exciting blog tour! It was both a very long, and surprisingly short journey. Around 1989 I had an idea inspired by a passage from the Bible. An army surrounds a prophet and his people and the he prays that his servant’s eyes be opened. When they were, he say the armies of heaven as well. The story suggests that the angels were already there, but couldn’t be seen. This started a big ‘what if’ for me. What if there were another existence, between ours and that eternal realm, that we didn’t know about? I typed about thirty pages, yes, typed personal computers were pretty rare then. I’d been married just a few years, we had two daughters and life became busy with trying to provide. So, I put the pages in a red binder, slipped it in my box of artsy stuff and got on with life. In 2012 I found the notebook in my desk and, after reading the pages, thought there was still a story there. The rough draft came in about 3 months, the editing took another six, and in Feb 2013 I started sending it out. Escape Publishing picked it up in April and released Tearing the Shroud, December 2013. Now, Mending the Shroud, book two in the Shroud trilogy is out and available for purchase. The personal level of what we do. It’s a true love/hate thing for me. Writers grow these stories, pouring ourselves into them. It’s an amazing, glorious, wonderful process. Then we set them out for the world to see. You know that not everyone will enjoy your work, but it still hurts a bit when they don’t. I love Fantasy, it’s my go to genre. In my “real life work” I deal with tons of life issues. When I read, I want something as far away from it as possible. Sure, there are still similar plot point conflicts, but with magic, strange beasts, and other realms, it makes them more palatable. Westley, from The Princess Bride, perfectly portrayed by Cary Elwis (whom I’ve met.) He knows that he loves Buttercup, long before she realizes it, but never pressures her or forces the moment. Instead, he lets her come to the realization in her own time. He also doesn’t give up on their love, no matter what obstacles stand in the way. The Blog Tour Continues. Click the banner to find out more. The second in the fresh, exciting romantic fantasy Shroud trilogy takes up where Tearing the Shroud leaves off – with the lives, the loves, and the mythical world beyond our own. After accepting bodily possession and saving the world, Vincent thought his life would get easier. He thought wrong. The Shroud may not have torn wide open, but it did tear a little, and the retribution for the failure is coming hard, fast, and directly at Vincent and the people he loves. His only hope is to once again accept possession from Coleman and do battle with the deformed, terrifying Kafla. But this time, he’s not alone. Jule, the woman he loves and hopes to marry, is possessed as well, and together the four of them become a formidable team. Together they hope to stave off the invasion and take the fight to the Realm, but only a supreme sacrifice can mend the Shroud and save both their lives and their worlds. J.M. Bray lives in Southern California with his college sweetheart and their two dogs. After a lifetime together, they are happier than the moment they met. When not writing or working his “day job”, he loves to cook, play the guitar, and travel with his wife. Every chance he gets, he races an old Porsche named “Tuffy” at tracks in the southwest. 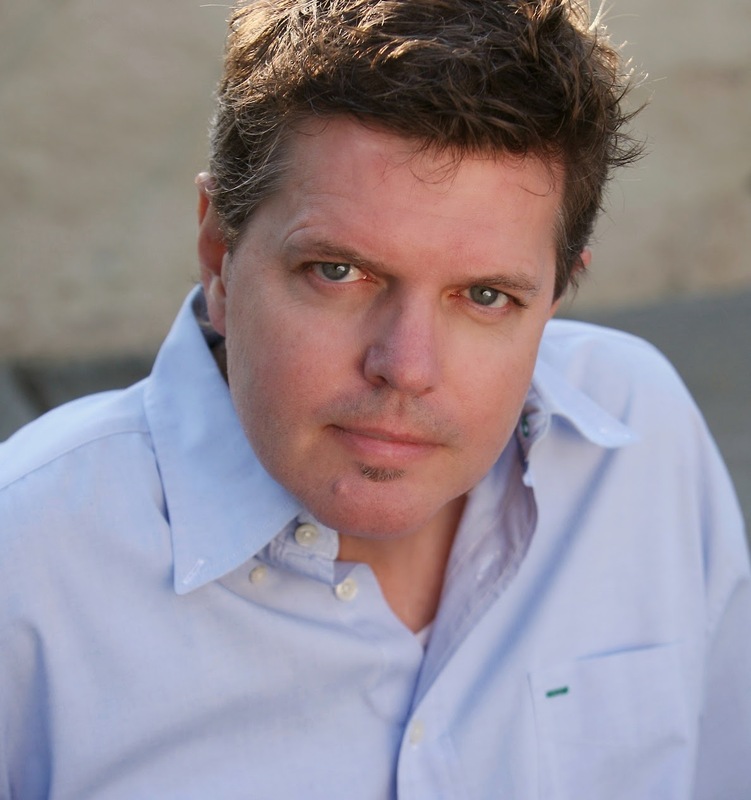 This entry was tagged Escape Publishing, JM Bray, Mending The Shroud, New Release, Paranormal Romance, Romance Author, Tearing The Shroud. ← In Bed With The Boss Release Date is Here! Alexa. I’m so happy to be visiting today. Thanks for having me over. Always interesting to hear what inspired the story, JM! Thanks, Elsa. It was good to sit back and take stock while answering these questions. It reminded me that it’s an adventure. Hi JM – nice to see I’m not the only person who can hang onto a story for years. Congrats on the success and hope it continues! Nicole, I’ve had the opportunity to speak to writers groups and when asked for advice I always say, ‘Don’t throw away any idea or started stories!’ lol Thanks for the encouragement. Interesting inspiration for your story. I look forward to reading it.